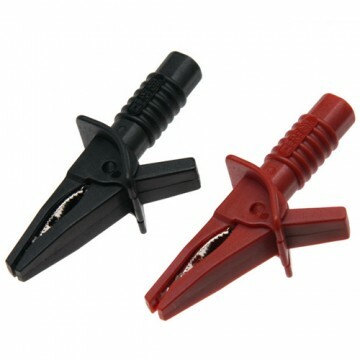 Crock Clip electro conductive crocodile clips from E-Stim Systems. Used to connect your e-stim power unit to metallic objects and use as electrodes. Not suitable for direct contact with the skin. Connect using standard 4mm cable. Metric Max Opening: 27mm, Overall length: 85mm, Weight: 22g, Connections: 4mm Socket.